Andy's Forum > Categories > MEDICINAL CANNABIS > Fake weed: Why does government marijuana look so weird? For an illustrative example of the federal government’s outdated approach to marijuana policy, one need look no further than the poor quality of the cannabis provided by the feds to scientists engaged in marijuana research. 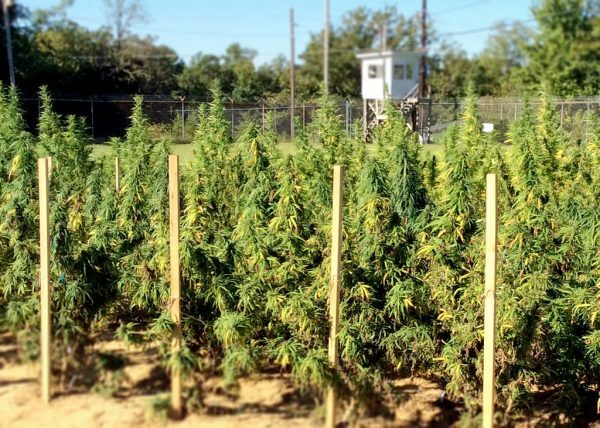 Since the 1960s, the only legal way to obtain marijuana samples for research purposes has been through the federal government, which grows all of its marijuana at one facility at the University of Mississippi. And just as federal cannabis policy has remained virtually unchanged since the anti-marijuana hysteria years of the late 60s, so apparently have the cultivation methods at the Ole Miss facility – at least according to some experts who have had a chance to compare the government weed to the high quality product available in today’s legal marijuana market. One such expert is Sue Sisley, lead researcher in a clinical trial investigating the effectiveness of marijuana as a treatment for PTSD among military veterans. “Sue Sisley … recalls the moment she picked up the carefully wrapped package fresh from the delivery truck. Nearly two years after Sisley and her colleagues were awarded a grant to study marijuana as a treatment for 76 military veterans suffering from chronic post-traumatic stress disorder, her shipment of the drug was finally in hand. “But minutes later, as she opened the packets to weigh the drug – as required by the federal Drug Enforcement Administration – her enthusiasm turned to dismay. It didn’t look like marijuana. Most of it looked like green talcum powder. In fact, part of the shipment was contaminated with mold, and some samples contained less THC than required for the study; some of the samples even tested positive for lead. In keeping with protocol for the clinical trial, the government weed was sent to an independent lab in Colorado for analysis. The lab found “a high level of total yeast and mold (TYM) in several samples,” as well as samples marked as having a 13 percent THC content that tested as low as 8 percent. The lab also detected trace amounts of lead in all four samples tested. Photographs of the government marijuana samples received by Sisley show a substance that bears almost no resemblance to commercial marijuana. High-quality marijuana flower-tops, or “buds,” are usually dense, dark-green in color, and made up of plant material covered with sticky, resinous THC crystals. The government samples, however, are stringy, light-colored and full of what appear to be leaves and stems – parts of the plant usually discarded by marijuana smokers. Researchers like Sisley have no choice other than to work with the substandard marijuana samples sent to them from the federal government. The government weed may be sufficient for some types of research, but for highly-controlled medical experiments like those involved in Sisley’s trial, the samples are woefully inadequate. Another problem is the fact that some commercial marijuana strains now contain as much as 30 percent THC or more, meaning that anyone wishing to study the effects of such potent marijuana is out of luck since the THC levels in government-grown weed max out at far below that amount. The bottom line is that the federal government – consistent with its policies for at least the last half a century – continues to make the conducting of marijuana research as difficult as possible; first by maintaining the Schedule I drug classification – which makes approval for any such projects extremely difficult to obtain – and second by making sure that anyone who dares to conduct marijuana research will be forced to work with the most substandard product imaginable.